Still king of the hybrid hill? 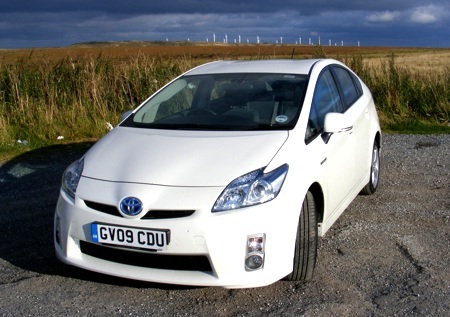 Review While the name Prius hasn't achieved the same degree of synonymity as Transit or Mini, it's still the one nine out of ten motorists will think of when you say the word 'hybrid'. You can thank Brad Pitt and Leonardo DiCaprio for that, and the fact that Toyota have sold 1.2 million of the things since the first one rolled off the production line back in 1997. For the Prius' fourth incarnation, Toyota has delivered a car that is entirely new. And so it needs to be because Honda is also now competing for hybrid market share with its equally clean-sheet-of-paper Insight - reviewed here. We said all that needed saying about the physical similarities between the Insight and the Prius when we reviewed the former in August. Driving the Prius has only reinforced the similarities. A couple of casual observers even asked when we had changed the colour of our car. Despite being marginally longer overall and in wheelbase than the Insight – 4.46/2.70m vs 4.40/2.56m – the Prius is only slightly more spacious in the rear. While boot space is also a little better, you still won't be using it to shift wardrobes about. Sit up front and there's very little in to choose between the two cars when it comes to space. Rear visibility is another feature that is equally poor in both the Prius and the Insight, but our top of the range T-Spirit test car came with a handy combined satnav and rear-view camera which made reversing less of a gamble - as did rear headrests smaller than those found in the Insight. Settle in behind the wheel of the Prius in the rather stiff seats and press the on/off button – nothing so arcane as a key here – and... nothing happens. Well, nothing other than the central LED dash display coming on and the word Ready appearing.